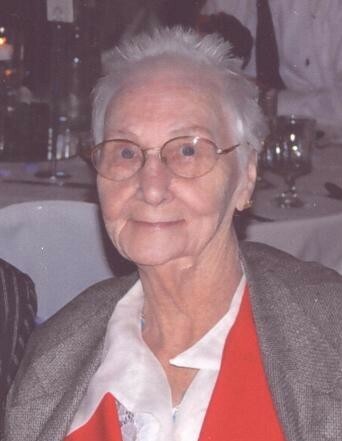 Eleanor C. Siwula, 91 of Wadsworth, IL., passed away at her home on Wednesday, April 10, 2019 surrounded by her loving family. She was born on November, 21, 1927 to the late John and Maude (Sanders) Anderson in Hayward, WI. She married Casimer J. Siwula on July 16, 1949. He preceded her in death on September 14, 2009. Eleanor is survived by her children, James (Eileen) Siwula, Joseph Siwula, Joyce Babitz, Randall (Julie) Siwula, Pamela (Robert) Kiesgen and Casey Siwula; eighteen grandchildren; twenty three great grandchildren and many nieces and nephews. She was preceded in death by her husband, her parents and siblings, Ethel, Edna, Myrtle, Eunice, John and Clayton. Visitation will be from 5:00 to 8:00 p.m. on Monday, April 15, 2019 at Warren Funeral Home located at 1475 N. Cemetery Rd. Gurnee, IL and again on Tuesday, April 16, 2019 from 10:00 to 11:00 a.m. at St. Patrick Catholic Church located at 15000 W. Wadsworth Rd. Wadsworth, IL. Mass of Christian Burial will be at 11:00 a.m. on Tuesday at the church. Entombment will be at Ascension Catholic Cemetery in Libertyville, IL.